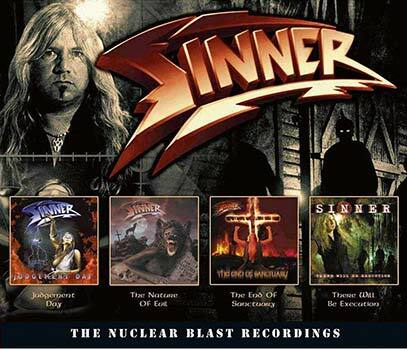 German heavy metal veterans SINNER released four albums through Nuclear Blast Records during their long and illustrious career. "Judgement Day" (1996), "The Nature Of Evil" (1998), "The End Of Sanctuary" (2000) and "There Will Be Execution" (2003). Dissonance Productions have now rolled all four albums into one limited edition CD boxset, perfect for fans old and new!